There you are standing in the pharmacy aisle again, looking at the hundred medications for breathing and sinus problems. The ADVENT team of specialized physicians, nurse practitioners and physician assistants dedicated to patient care believe breathing shouldn’t have to be this hard. By listening to each patient’s health concerns and goals, we hunt for the best treatment plan to get you back to the life you were meant to live. Patients struggling to breathe freely do not always result in needing an in-office procedure. If the best treatment plan for you does include an in-office procedure, we can help ease your worries by knowing what to expect before, during, and after. Balloon Sinuplasty is a minimally invasive procedure utilizing innovative technology to open blocked sinus passageways. Patients who suffer from chronic sinusitis with no relief in sight from medications (prescribed to manage symptoms) experience lifechanging results post-surgery. Say hello to breathing freedom and goodbye to chronic infections. Even better, you will be able to return to regular activities the very next day! Everyone’s had a stuffy nose and many suffer from this issue every day. If you or a loved one are experiencing a frequently runny nose or congestion, we feel your pain. During this minimally invasive procedure, a cooling probe is used to freeze an area of the back of the nose to reduce inflammation of the nasal membranes. Long lasting relief with minimal downtime and aftercare make this a popular choice for patients with rhinitis. Did you know nasal obstruction that causes trouble breathing through the nose is a fairly common problem? Typically nasal obstruction is caused by enlarged turbinates, which can be scary since they serve important purposes in filtering, heating and humidifying the air we breathe. When enlarged turbinates are unresponsive to medical management, a turbinate reduction procedure in-office removes and shrinks soft tissue inside the turbinates with gentle radiofrequency energy and natural saline. The good news? The procedure only takes 10 minutes! Eustachian tubes are small passages that connect the ears to the back of the nose. Have you ever experienced a clogged ear, temporary hearing loss, discomfort, or other on-going ear frustrations? After the start of a cold or ear, nose, and throat infection, eustachian tube dysfunction can occur. ADVENT is one of the few practices in the United States to be able to offer this treatment option to patients who previously did not have an option at all to treat the eustachian tubes directly. Balloon catheter technology is used to open the blocked passages to enable mucus and air to flow freely through the eustachian tube. We understand how frustrating it can be to deal with issues that impact important pillars to your overall wellness, which is why we pioneered these simple in-office procedures. 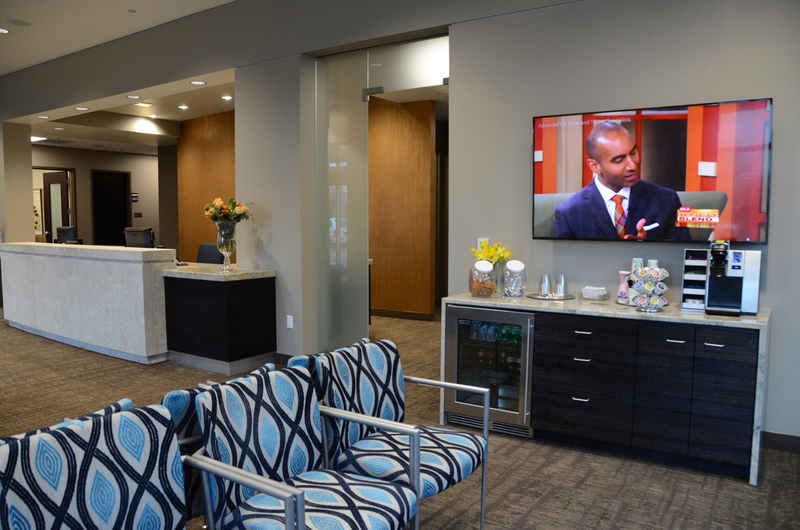 Breathe better with ADVENT and schedule a consultation today in Wauwatosa, Mequon or our newest location in Oconomowoc.